Activists, artists, and now actors and TV hosts are calling time’s up on the billion dollar pharmaceutical businesses denying their role in America’s opioid crisis. Every day, over 130 people in the United States die after overdosing on opioids. Many more suffer substance use disorders related to the pain relief drugs. Comedian and Last Week Tonight host John Oliver used his platform to voice criticism of the dodgy sales tactics that have facilitated the tragedy and ongoing epidemic. The show zones in on Richard Sackler, the mysterious, heavily veiled businessman at the heart of Purdue Pharma, which is currently involved in multiple lawsuits related to the opioid crisis. “This invisibility feels deliberate, and whether it is or not, it has definitely been convenient for Richard Sackler, because it’s honestly hard to tell the story of his time at Purdue without any video,” Oliver said on the show. "To help you get the emotional impact of Richard Sackler’s actual words, we got an actor to play him." 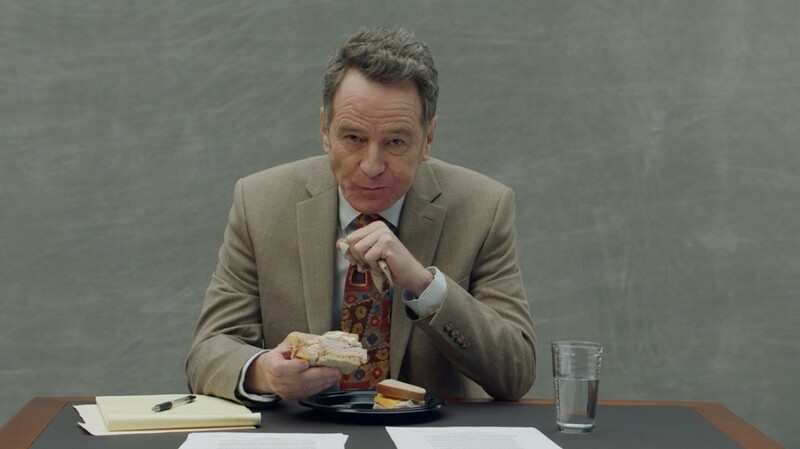 A group of actors featuring Bryan Cranston, Richard Kind, and Michael K. Williams all take on the role of Sackler, reading out parts of his emails and a newly leaked deposition – the skits were debuted on the show and can be viewed on SacklerGallery.com. Via the newly set-up webpage, you can watch full versions of the dramatisation of the leaked deposition that the opioid manufacturer previously tried to bury. The court document reveals the key role Sackler played in pushing sales of Oxycontin. Oliver hopes the media attention will push the Sacklers to release footage of Richard and admit to his involvement in the crisis. This isn’t the first time Oliver has taken on Big Pharma. He first issued a blistering takedown of their role in America’s opioid addiction crisis in 2016. Despite paying damages of over $600 million in 2007 after pleading guilty to charges of misleading the public, the Sackler family continue to make money from the fallout, introducing new products to treat the addiction their opioids originally caused. According to Forbes, the family are collectively valued at $13 billion. They have made numerous donations to heritage institutions including the National History Museum, the Old Vic Theatre and the Royal Opera House. Renowned photographer Nan Goldin is taking a stand against their influence in the art world. Goldin survived addiction and now fights for the Sackler family to own up to the damage they caused. Through her activist group P.A.I.N (Prescription Addiction Intervention Now), she campaigns for the Sacklers to provide financial support for Oxycontin addiction treatment and education. P.A.I.N staged protests at two of New York’s leading museums, the Met and the Guggenheim, in February. Watch Bryan Cranston, Michael Keaton, and more spoof Richard Sackler on Last Week Tonight below. You can read more about the Sackler Trust’s encroachment on the art world and Nan Goldin’s activism against the opioid epidemic on Dazed.